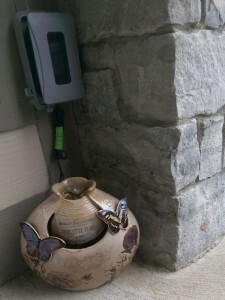 Hi Meg, I love the butterflies, and to have a water fountain in the garden is so lovely, one of my neighbours had one, always little birds bathing and drinking water in there. Have a great night! The sound of water is so calming, but right now I don’t have a fountain on my terrace…thanks for the reminder!